A small, dark blue jasper dip, pedestal bowl. 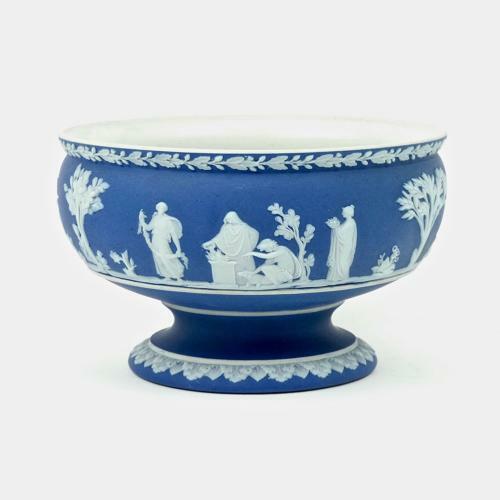 This piece is marked 'WEDGWOOD MADE IN ENGLAND' and it dates from c.1920. There is also an impressed number '5'. It is decorated with a continuous band of classical figures and trees and to the rim is a narrow border of oak leaves and acorns. This is quite a small size for a bowl of this type and it is in excellent condition.